The Cushing/Whitney Medical Library is pleased to announce the completion of a grant funded to catalog 2,600 glass plate negatives from the Cushing Brain Tumor Registry. The grant proposal, “Rethinking Early Neurosurgery: The Harvey Cushing Collection,” was funded through a National Network of Libraries of Medicine-New England Region Knowledge/Data Management Award. From mid-February through April 30th 2017, a team of graduate and undergraduate students carefully inputted information on over 3,000 glass plate negatives into the Cushing Center database, exceeding the estimated amount in the grant. The negatives depict Dr. Harvey Cushing’s patients, including histology. 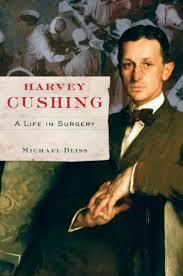 Harvey Cushing, the pioneer and father of neurosurgery, was born on April 8, 1869 in Cleveland, Ohio. He graduated from Yale University in 1891, studied medicine at Harvard Medical School and received his medical degree in 1895. In 1896, he moved to Johns Hopkins Hospital where he trained to become a surgeon under the watchful eye of William S. Halstead, the father of American surgery. By 1899 Cushing became interested in surgery of the nervous system and began his career in neurosurgery. During his tenure at Johns Hopkins, there were countless discoveries in the field of neuroscience. In 1913, Cushing relocated to Harvard as the surgeon-in-chief at the new Peter Bent Brigham Hospital. Cushing continued to operate on several hundred patients a year with remarkable results. In addition he was relentless in his recording of patient histories and continued his careful attention to the details and documentation of each surgery. In 1932 Harvey Cushing retired and in 1933 he agreed to join the staff at Yale University, his alma mater, as the Sterling Professor of Medicine in Neurology. Cushing died in 1939. The negatives are undergoing rehousing and digitization, and will be made available for research through the Cushing Center database, which brings multiple parts of Harvey Cushing’s work together in one place. The database, still in development, will allow researchers to explore Cushing’s medical work and patients. Please contact Terry Dagradi, Cushing Center Coordinator, for details.